Our kitchen renovation - before photos! As part of my Feature Friday post this week, I am sharing with you my kitchen and its renovation story. When we bought our home back in September 2012, it has been a long term rental. We could see the home had good bones and structure, it just needed some TLC and a little love. 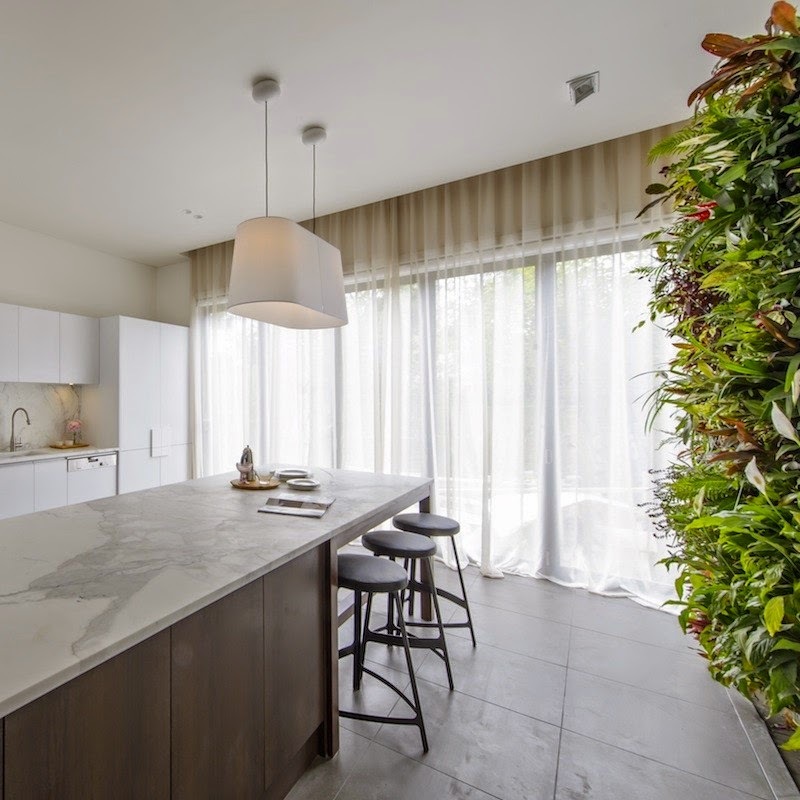 The heart of the home, the kitchen was a simple U shape design with a great window overlooking the backyard. It had a dated laminex benchtop, which took me hours to scrub the grime and buildup from when we first moved in. It had white rickety cupboards, a random microwave shelf halfway up the wall and the most hideous skylight/vent contraption on the ceiling. At least there wasn't an ugly fluorescent light though, so really I mustn't complain! When we moved in, we knew we wanted to update the kitchen, but not spend alot of money. 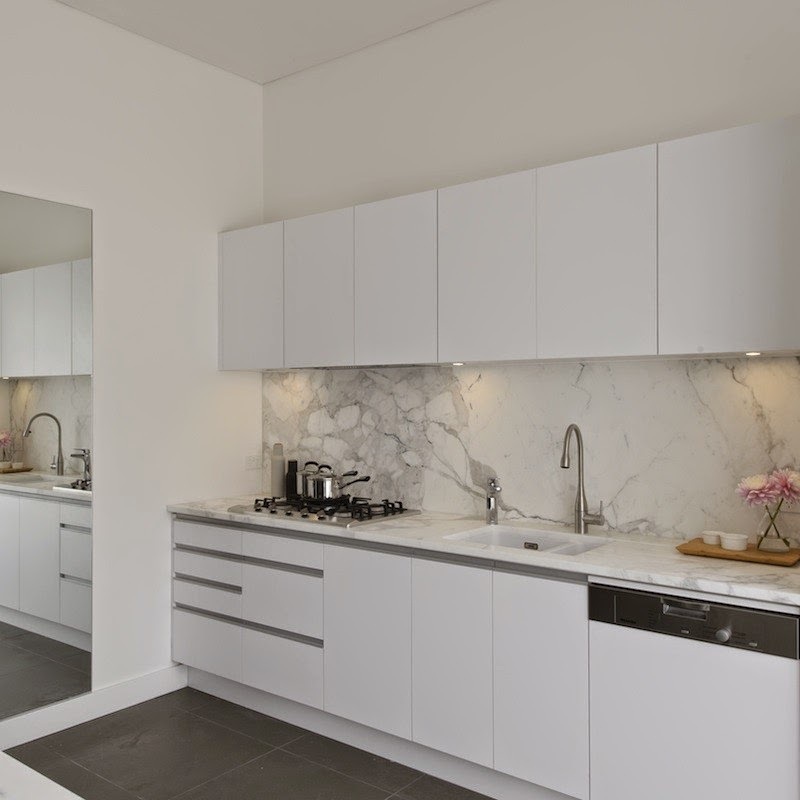 Stone benchtops, two pack kitchen cupboards and features like marble were thought about, but then dismissed. Instead, we tackled the project DIY style and did it on a budget. It was a small space to work with and we didn't want to change the layout, as this would keep costs down for us. PROGRESS - We removed the shelf where the microwave sat and gave the kitchen a coat of paint once we moved in. We also replaced the oven, it was beyond cleanable after being a long term rental property! For inspiration, we trawled pinterest, home magazines and then The Block All Star series came on air. I fell in love with the kitchen from one of my favourite Block couples Josh & Jenna. 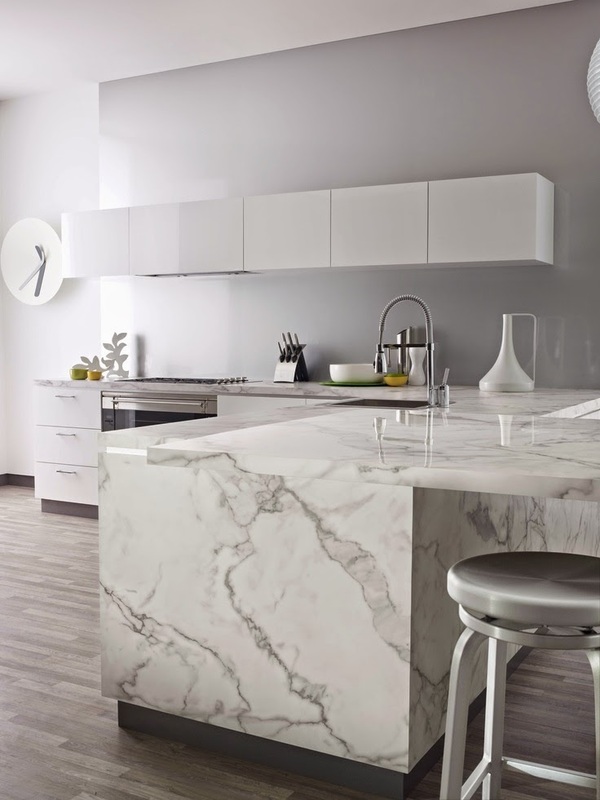 They used Carrara marble throughout their Block renovation and I loved the simplicity of it paired with white cabinetry in their kitchen. 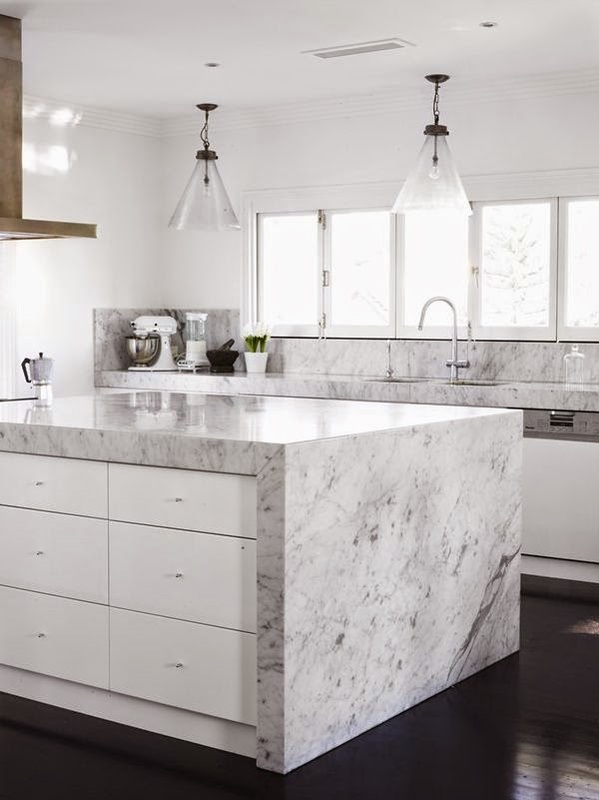 I thought their kitchen was so simple, yet stylish and loved the impact of the Carrara marble look. If you have been following my blog, you’ll know that we have done the majority of our home renovations ourself, allowing us to tackle more projects with the money we have saved from not having to hire trades. So this kitchen reno project was right up our alley! It has taken over twelve months to compete, as we have just tackled bit by bit. You may have seen me over on Instagram last month, posting that we were taking advantage of a rainy weekend and finally finishing it. Well it is finally done!! I am off for a weeks 4WD adventure to Fraser Island tomorrow and on my return I shall share with you the 'after' photos. I love what we have achieved in a small space and how much lighter and brighter it feels. 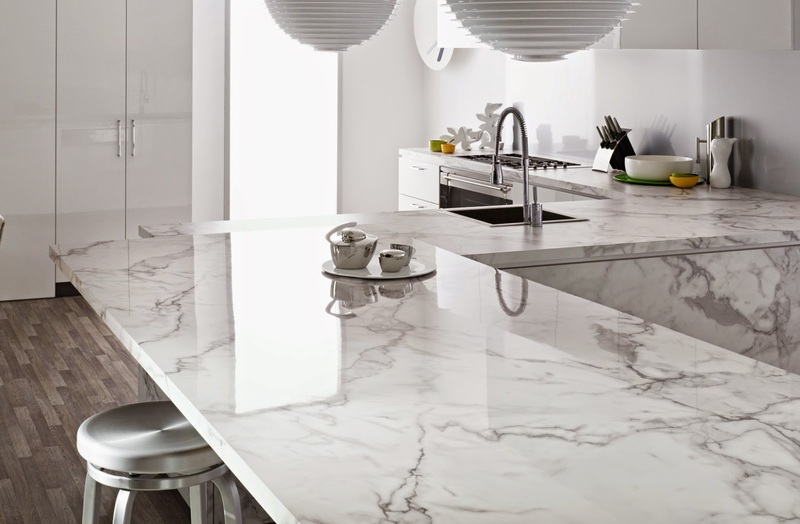 HAVE YOU EVER TACKLED A KITCHEN RENOVATION? Was it a success, or a major flop? Love your kitchen, so glad I found your blog - I've been looking for reno / design blogs to keep me inspired during my reno! Enjoy Fraser and come back and give me more inspiration!